TakkArray has sensors spaced in a 6x6mm grid to sense maximum detail (in alternating orientation, to ensure good overlap as shown in the concept image below). 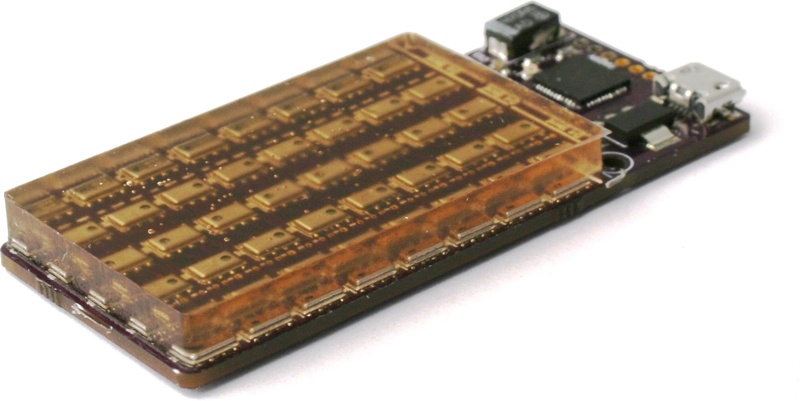 The array interfaces via a high-speed USB interface with ROS drivers. 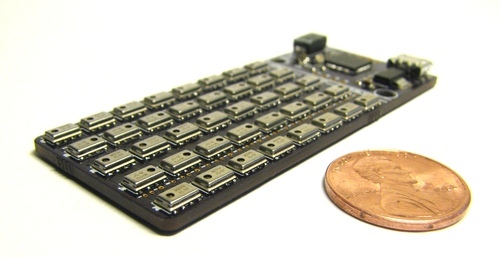 Several arrays can be daisy-chained together onto a single USB cord, and the interface board can be removed with a dremel and attached via a 4-wire I2C bus. 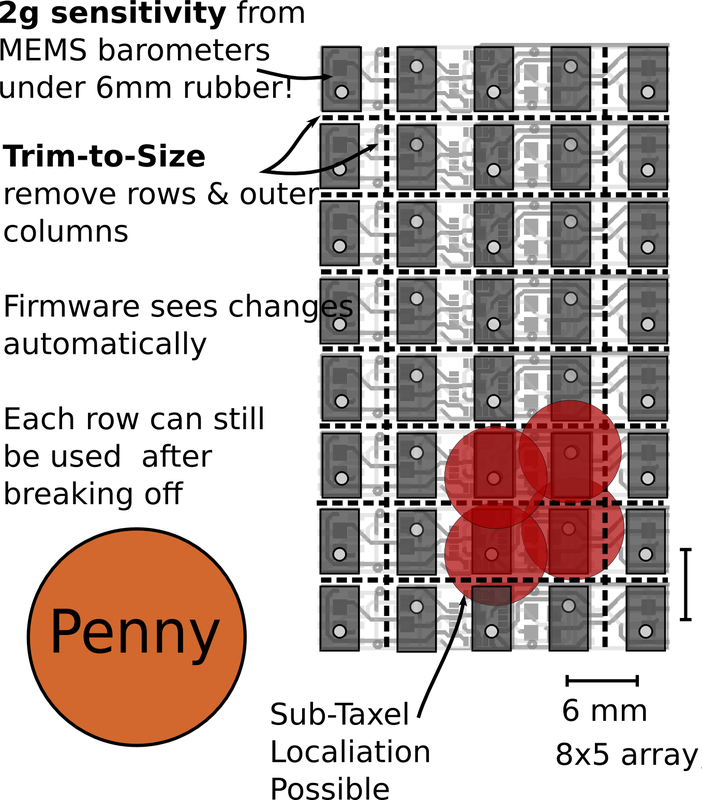 Individual rows can also be carefully removed to tailor the size of the array to custom finger designs, as can the outer two columns. Please email us at moc.elitkkat|troppus#moc.elitkkat|troppus for availability and lead time. Warranty – We take pride in producing useful technology; since this is research hardware, the purchaser is responsible to test its suitability and reliability for a given application. In legalese, it is provided “as is” and TakkTile LLC disclaims any express or implied warranties, including, but not limited to, the implied warranties of merchantability and fitness for a particular purpose. But, if you are dissatisfied with it, please let us know and we will try to help. Defective products may be returned for a full, timely refund of the original purchase price.